Phenomenal is the best way I can describe Sabon's entire product lineup, and the body scrubs are no exception. The mixture of deep sea salt, dead sea mud, soybean oil, sweet almond oil, and other natural ingredients, leaves my skin silky smooth, baby soft, and marvelously moisturized. After use, this body scrub does leave a dry oil feeling on the skin, but it's oily or sticky. The scent of this product is AMAZING and it lingers on the skin for several hours. This is my first time trying Lemon Mint, and I love the cooling sensation of Lemon Mint; thus, fulfilling all my lemony-mint needs. Other Sabon body scrub scents I've tried, LOVE, and recommend are: Patchouli Lavender Vanilla, Vanilla Coconut, and Lavender Apple. If you ever have the opportunity to visit a Sabon store, I guarantee it will be an experience in pure luxury. 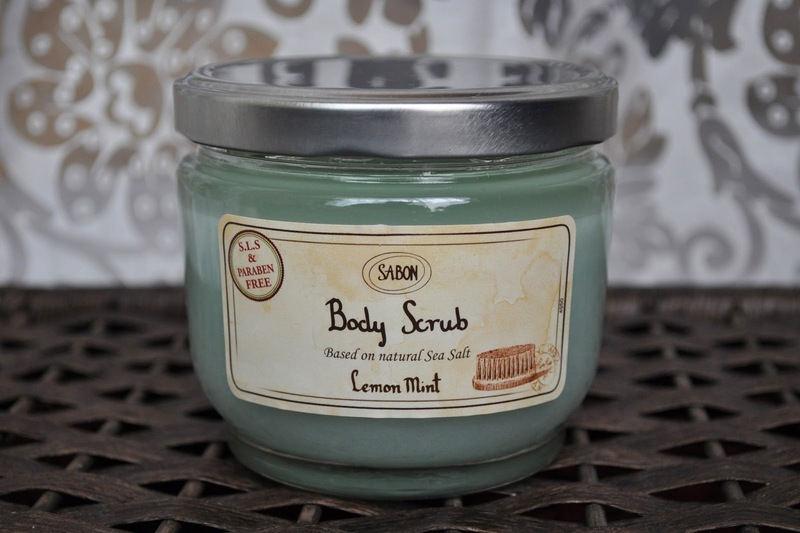 In the past, I've tried many body scrubs, and Sabon's is my all-time favorite...and the only one I will use! In Japan, Sabon's Body Scrubs retail for ¥5,000 ($50.26). Have you tired any products from Sabon? My first Sabon experience is also Lemon Mint. I love how refreshing and calming the scent is and I love how my skin is moisturized after use! I need to get another jar of this after I move back to Boston in a few months! I miss this scent! Claire, you MUST get your hands on some Sabon, you'll love it! Visiting the store is an experience in itself!